25 year old Tristan Matthias Roberts was arrested Thursday afternoon for attempted robbery and assault on a peace officer. On Monday, July 17, 2017 at approximately 6:00 am an attempted robbery occurred at the Holiday Market in Pleasant Valley. Patrol deputies responded to the area but were unable to locate the suspect. A few hours later, a citizen reported seeing a suspicious vehicle in Diamond Springs. The responding deputy contacted Tristan Roberts at his vehicle and discovered he matched the description of the suspect from Holiday Market. The deputy immediately attempted to detain Roberts. A physical confrontation occurred and Roberts escaped in his vehicle. 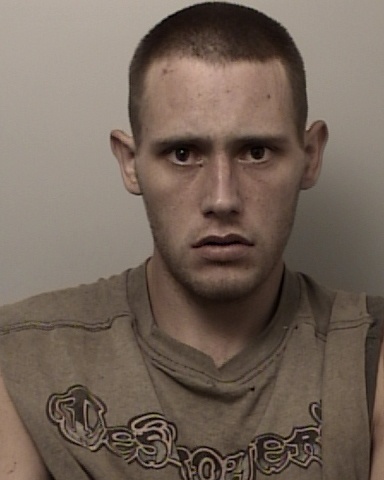 El Dorado County Sheriff’s detectives immediately recognized that Roberts matched the description of the suspect from a series of armed robberies and attempted armed robberies in Coloma, Placerville and Cedar Grove. An exhaustive manhunt began in an attempt to locate and arrest Roberts. El Dorado County Sheriff’s detectives developed information that lead them to the Luneman Road area. On July 19th, El Dorado County Sheriff’s detectives and SWAT personnel saturated the area and began an intensive manhunt with the assistance of the El Dorado County District Attorney’s Office and the California Highway Patrol. On July 20th, an El Dorado County citizen reported seeing a person matching Roberts description in the area of Luneman Road and Springvale Road. El Dorado County Sheriff’s deputies, still in the area, immediately responded and took Roberts into custody. El Dorado County detectives were able to link Roberts to the June 27th robbery of Sutter Creek Market, the July 4th robbery of the Cold Springs Country Club, the July 7th attempted robbery of Happy Hour Liquor and the attempted robbery of Holiday Market on July 17th. Roberts was booked into the El Dorado County Jail for two counts of armed robbery with a gun, two counts of attempted armed robbery with a gun, assault on a Peace Officer and resisting arrest.